Nourishes, Strengthens the structure of the hair. Gives tone, vitality and shine to the hair. Strengthens the structure of the hair. Usages: 1.Clean hair with professional shampoo, and then dry wet hair with a towel. 4.Finally wash hair with warm water make styling according to requirements. 4.Please stop use this product if: Wounds, itch, allergy or eczema on scalp. Feature : 1. for the severely damaged hair; 2. Contain protein and varieties of natural vegetable essences, make hair become light and glossy. 3. 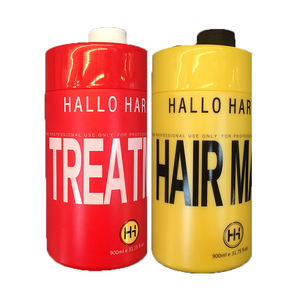 Using in a long-term can strengthen hair and protect it from external injury. History of Guangzhou KAQI Daily Cosmetic Factory : 1. With 20 years' salon experience, 9 years hair care best dealer history and 11 years hairdressing factory strength, we badly know what you want and what the market need. AVORIO keratin hair treatment mask As the biggest supplier and the most professional hair care manufacturer,we produce hair care from the top leverl quality . tell us the quality and price range you desire. we will bright you best performance product against your budget . Directions: use after shampoo to restore hydration. 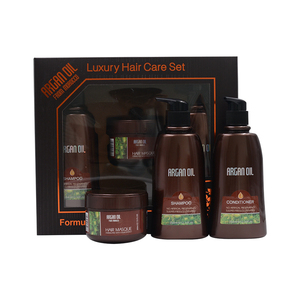 Restorative natural oils and extracts replenish hair vitality from the inside out. Hair feels softer, smoother and healthier. Alibaba.com offers 1,178 hair mask set products. About 1% of these are face mask. A wide variety of hair mask set options are available to you, such as free samples, paid samples. There are 1,102 hair mask set suppliers, mainly located in Asia. The top supplying countries are China (Mainland), South Korea, and Hong Kong, which supply 95%, 1%, and 1% of hair mask set respectively. 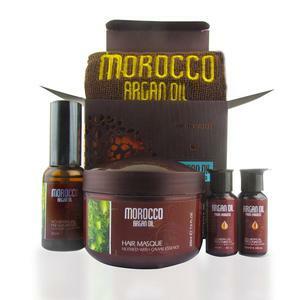 Hair mask set products are most popular in North America, Western Europe, and Domestic Market. You can ensure product safety by selecting from certified suppliers, including 307 with ISO9001, 186 with Other, and 127 with GMP certification.